Dr. Somerville has over twenty-five years of experience working with chronic pain in various settings - from opening the first freestanding pain clinic in South Texas, to private practice therapy, then on to help create the Driftwood Pain Recovery Program. Her multi-faceted approach to treating pain at Driftwood includes therapy, medical consultation, wellness & exercise, with an overall holistic approach. 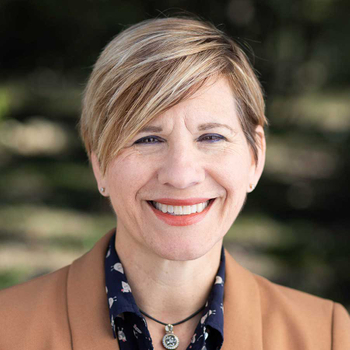 As Director of the Driftwood Pain Recovery Program she develops curriculum and co-creates individualized treatment plans for each client recovering from chronic pain and addiction by utilizing evidence-based modalities including: Acceptance and Commitment Therapy for Chronic Pain, Dialectical and Behavioral Therapy, Somatic Experiencing, Mindfulness, and self-compassion. Dr. Somerville is encouraged by the help and support she received as a parent to a child in recovery and strives to help others who are struggling and facing difficult times. She is also inspired by her Driftwood colleagues who collaborate with and genuinely care about one another.